The country with the highest income tax is Belgium, with an average rate of 40.7%. Belgium has the highest income tax of all OECD countries. Taxation is a useful tool with which to enhance life within any country, given its revenues are effectively utilized for the betterment of its citizenry’s welfare and the achievement of goals to develop its infrastructure. However, not all countries have the same level of income tax. The following is a report of the countries in the world who experience the highest income tax rates on average. All figures are form the Organisation For Economic Co-Operation and Development. The Netherlands is a country in Western Europe. Taxes in the Netherlands can take the form of income tax, the VAT, the corporate tax, and income tax. Although the highest income bracket in the Netherlands was formerly as high as 72%, it was lowered to 52% in 2001. Today, the median income tax level is 30.4%. Finland is found in Northern Europe. The Finnish Tax Administration takes care of processing of taxes in the country. Finnish citizens are taxed an average of 30.8% on their income, with the highest possible amount being 31.75% for the highest income tax bracket. Taxes collected in Finland are distributed throughout the government, church, municipalites, and Kela, which is the institution that takes care of social services such as unemployment benefits, child benefits, health insurance, and student financial aid. Luxembourg is a small landlocked country in Western Europe. 19 different tax brackets exist in Luxembourg. The maximum rate of taxation is 40%. Luxembourg is renowned for its high quality of life. Italy is a country in southern Europe, known for its historic city centers, delicious food, and beautiful vistas. The Italian Agency of Revenue is responsible for the collection of taxes in Italy. The income tax system in Italy is progressive, which means that the amount earners are taxed depends on how much they earn. The highest amount that somebody can be taxed in Italy is 43%. A German-speaking country with a population estimated at over 8 million people, Austria ranks as one of the most taxed countries in Europe. Depending on income, income tax levels in Austria can reach 50%. Uniquely, married people in Austria are taxed separately. Slovenia is a country found in southeastern Europe. In 2006, Slovenia passed a motion that simplified the system of taxes collected in the country. Its average tax rate is estimated to be around 33.4%. Hungary is found in central Europe, with a population of around 10 million. Income tax is collected by the local governments, as well as the federal governments. The income tax collected in Hungary contributes about 33% to its GDP. Tax breaks are available in Hungary, depending on certain factors such as family size. Denmark is a small country located in Northern Europe. Income tax in Denmark is collected at both a state and a local level. Danes are taxed an average of 36.25 on their income. High taxes are said to contribute to Denmark's social services, which are reputed to be some of the strongest in the world - perhaps this is a reason why Denmark supposedly has the happiest people! With 82 million people, Germany is the most populated country in Europe. Taxes in Germany are located by the federal government, the individual states, and finally at the local level. In 2014, Germany garnered nearly 600 billion euro in tax revenue. This revenue is shared between the three levels of government. 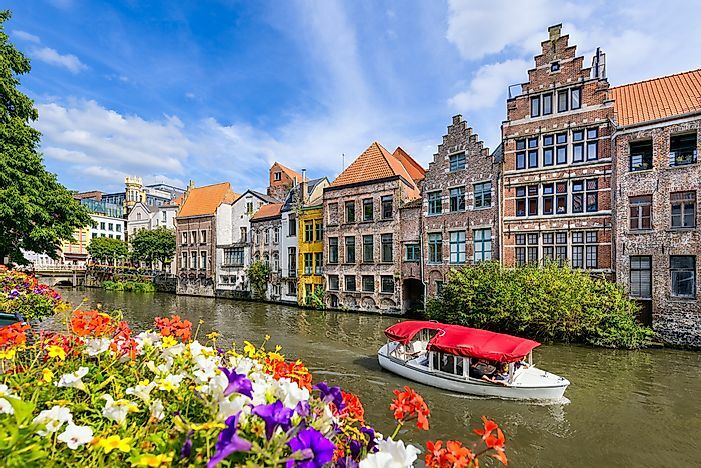 Belgium is the home of the European Union, known for its high-quality production of chocolate, waffles, and for a unique multilingual culture. It also has the distinction of having the highest income tax rate in the world, with an average income tax rate of 40.7%. Aside from taxes collected at the federal level, taxes are also collected at the local level, as well as the state level. Income tax in Belgium depends on the amount of income earned, and can range anywhere from 25% to 50%.